Why did people migrate from one location to another? What routes did they follow, and how can identifying migration trails help you find your ancestors? 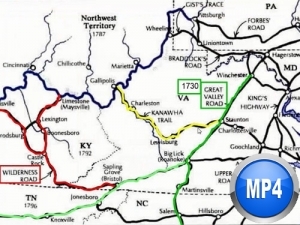 Learn from maps and historical details how to follow the trail of your ancestors. This class was presented to a live webinar (online seminar) audience on May 27, 2015. 1 hour 54 minutes, plus 5 pages of handouts. The recording is also included as part of the�monthly or annual membership.